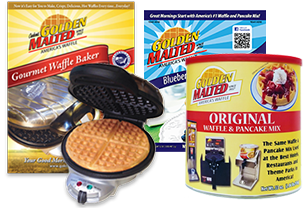 Your One-Stop Shop for Waffles & Pancakes - Mixes, Bakers & Much More! waffles each and every time! Thanks for signing up! Use Promotional Code WELCOME10 when you checkout to save 10% off your first order! This code cannot be combined with any other offers. 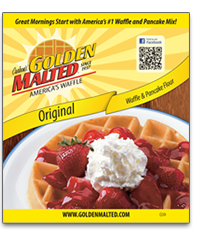 Since 1937, the best hotels and restaurants around the world have been serving Golden Malted® Waffles and Pancakes. 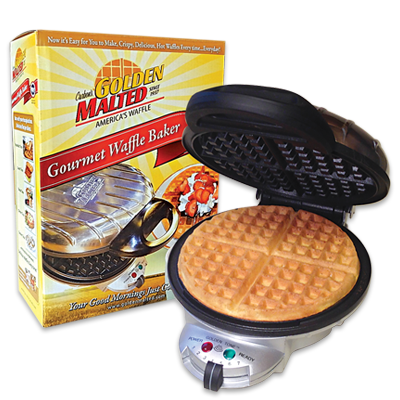 Now you can Experience these SAME hot, fluffy waffles and pancakes in the comfort of your own home. 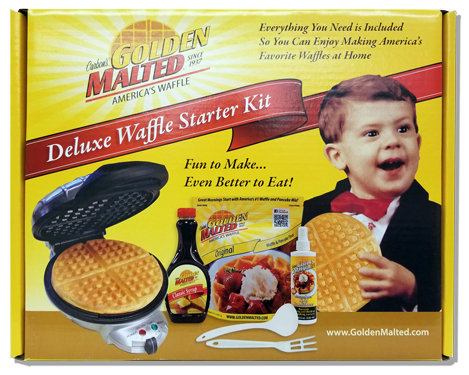 Deluxe Waffle Starter Kit - the Perfect Gift for Waffle Lovers! 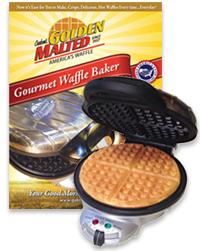 This is the most delicious mix for pancakes and waffles EVER! The taste takes you back to a time when diners were the place to go not just for a meal but for seeing your friends in the community. Every time I have friends for brunch I make this and every time they swear it's the best. 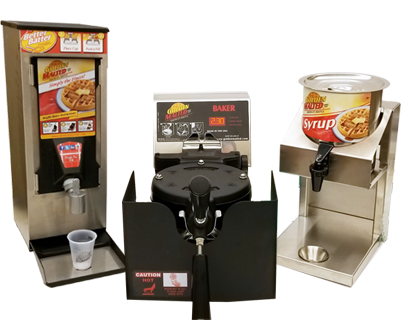 And by the way, you will see Carbon's in diners and in hotels--look at the label the next time you have a make your own waffle station! Best Waffles EVER!!! 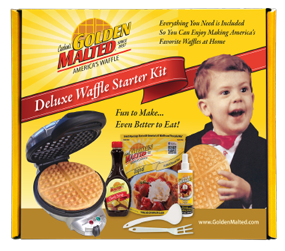 The secret to the most delicious waffles is this malted mix. I have bought other malted mixes, but nothing compares to Carbon's. Everyone comes to my house and requests these for breakfast. Buy in bulk, you won't be sorry! I love this stuff. It is pretty much what you get when you go to a hotel that has one of the make your own waffle bars. The best tasting mix out there IMO! With my job I spend a lot of time on the road. 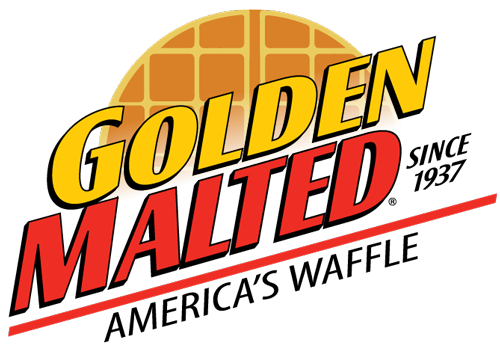 The hotels I stay in offer Golden Malted. I look forward to breakfast when I hit the job!